Have you ever seen that picture of a textbook completely covered in yellow highlighter that just says, “Highlighting. You’re doing it wrong.”? I literally laughed so hard at that the first time I saw it because I have definitely gotten those textbooks before! Sometimes, it’s just hard to know what to and what not to highlight. Like, what if you need to know this in the future? Clearly, that neon yellow will lead the information right into your brain and let it stay there forever! First of all, go into your textbook with a purpose. Just reading a chapter start to finish without a purpose is like walking into Target without a purpose (dangerous and costly). When you know what you’re looking for (either by using a study guide, looking at class notes, or reading the guiding questions that the end of the chapter), you’re more likely to pull out the important information. Scan the pictures and headings to get an idea of what you’re SUPPOSED to learn from the chapter. Then really focus on learning that thing! You and I both know every chapter doesn’t need to be 30+ pages. Don’t waste your time reading every word. Create a routine, just like everything else. You may want to use one color for vocabulary terms and a different color for important ideas. I always, ALWAYS write my notes right in the margins using a mechanical pencil. It just makes it so much easier to have all of the info right there together! If you use a consistent system, you’ll automatically look for vocabulary words to be pink, or learning theories to be yellow, which would make it a little more memorable! 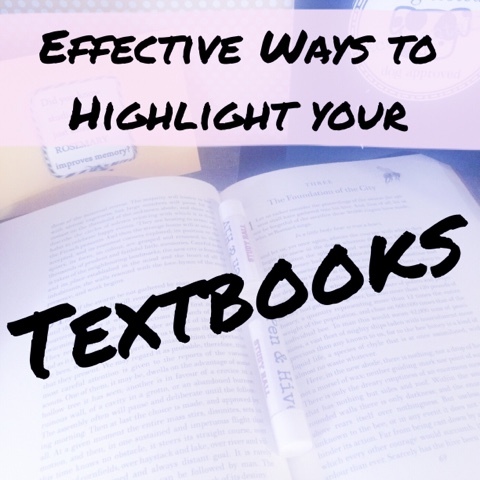 Also, don’t forget about the wide variety of office supplies that can make your textbook reading more interactive! Use Post-It flags/tabs to save pages where important theories/concepts/charts, etc. are. You can highlight away, but what good does it do if you can’t find the page again? If you’re not totally comfortable with writing straight into your book, you can use medium-sized sticky notes and stick those in the margins of important pages instead! Plus, sometimes a little extra color makes textbooks a little more bearable. Don’t forget to bring the information “out” of your textbook. By that, I mean pull out those important terms/concepts/ideas that you highlighted and put them on index cards. Hang them up on your fridge, the wall above your computer, or on your mirror. This brings the information to you instead of you having to do work to get to the information. Also, Target and school supply stores have that giant paper that you could use to create diagrams, etc. and literally hang them on your wall (provided your husband/roommates wouldn’t mind too much). 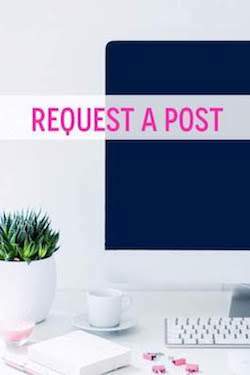 Follow Organized Charm on Pinterest!